Dienes know how after one hundred years of experience, produces the finest Hardened anvil sleeves available. We have perfected our material, and heat treating processes including cryogenics to achieve a uniform hardness through the walls of our sleeves. 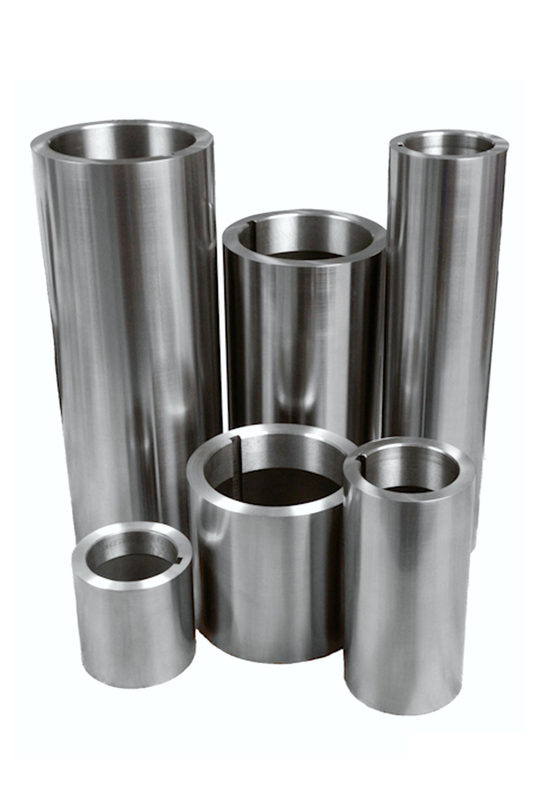 All of our anvil sleeves are manufactured to exact hardness levels to avoid grooving of the diameter. Score cutting or crush cutting has presented converters with the issue of sleeves grooving prematurely typically due to the sleeves not being made to the proper hardness’s. Dienes sleeves are 63 Rockwell C or harder. After processing years of material, our converting customers can regrind our sleeves with confidence of hardness meeting specification beneath the original surface. When your operation requires knife longevity, cut quality, and economy, call Dienes. Glass hard sleeves hardened throughout. Material 52100, Hardness 63-65 Rc. Keyway (3/8″x 3/16″) fixing. Dienes will quote price and delivery on special sizes or materials.